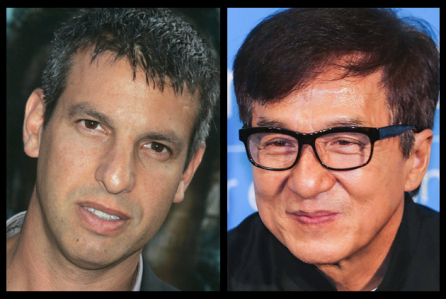 EXCLUSIVE: Sony Pictures has set Jeffrey Nachmanoff to direct Five Against A Bullet, the action thriller that is anchored by Jackie Chan. Matt Corman and Chris Ord (Covert Affairs) are writing the latest draft under Nachmanoff’s supervision. Nachmanoff most recently wrapped the Keanu Reeves-starrer Replicas. Here, five bodyguards from around the world, with a variety of complementary skills and abilities — led by the infamous Frank (Chan) — are hired by a Latin American politician to protect him during a violent election. It’s a departure for Chan, who usually does his Hollywood action films as two-handers, like the Rush Hour films. He has demurred when offered a place in The Expendables ensemble, so this is really his first true ensemble effort. What’s most important is Chan’s enviable run of films whose grosses exceed $100 million globally, and Sony is putting together films these days that are architected for a chance to play on that level. Five Against A Bullet will be a Chinese co-production between Columbia Pictures, Suretone Pictures and Sparkle Roll, Jackie Chan’s production company. Lorenzo di Bonaventura (who produced Nachmanoff’s Replicas) will be producing as well as Jordan Schur. Nachmanoff, who directed the Don Cheadle-starrer Traitor and with Roland Emmerich scripted The Day After Tomorrow, is repped by CAA, as is Chan.